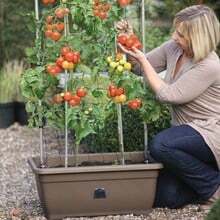 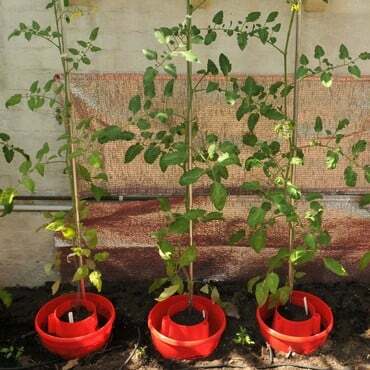 Grow a bumper crop of tomatoes in one easy step with the Tomato Success Kit - and although we can't quite stretch to a cast iron guarantee that your tomato seeds are going to produce a personal best yield, this superb tomato planter will come as close as possible. 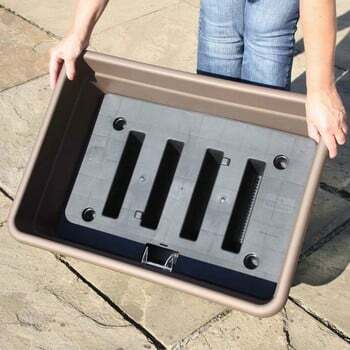 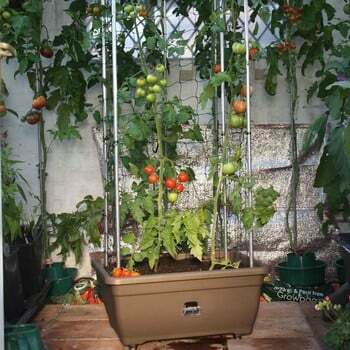 Designed and manufactured in-house, the Tomato Success Kit is perfect for two tomato plants and includes a 38 litre self watering planter featuring a 15 litre water reservoir. 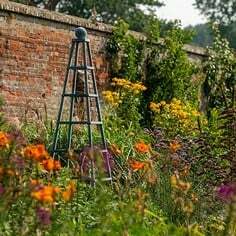 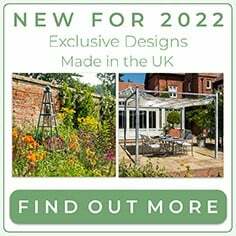 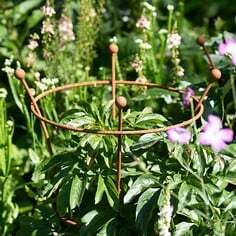 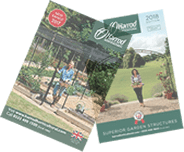 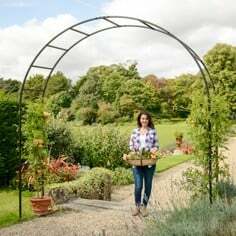 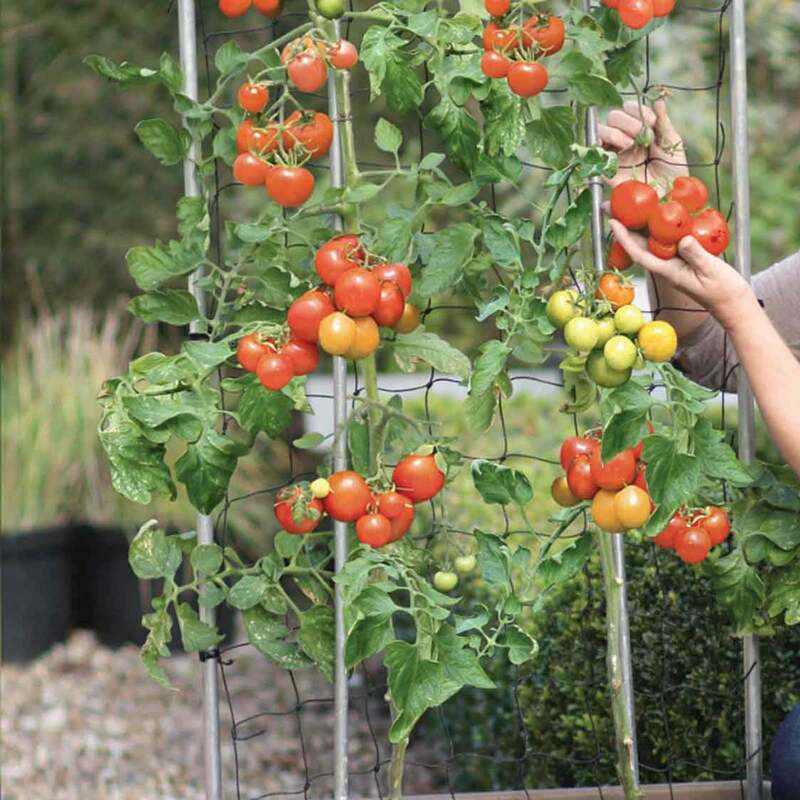 The Growing Frame is also available and offers superb support for your growing plants, strong enough to support even a heavyweight tomato truss! With an easy fill port and soil channels to encourage roots to grow down to the moisture, the self watering planter really is a tomato growing work of art and your tomatoes should reward you well! Fairly easy to put together, feels sturdy, tomatoes flourishing already no fruits yet but they are looking healthy. a good all round piece of kit, easy to erect and use. The watering is made easy and the plants have responded and are growing well. The initial impression of a nice, neat tidy kit is quickly backed up. 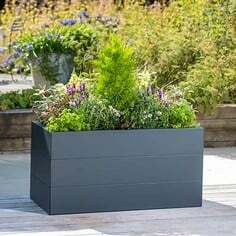 The planter is cleverly designed with compartments that help train the roots to develop and grow into the built reservoir. 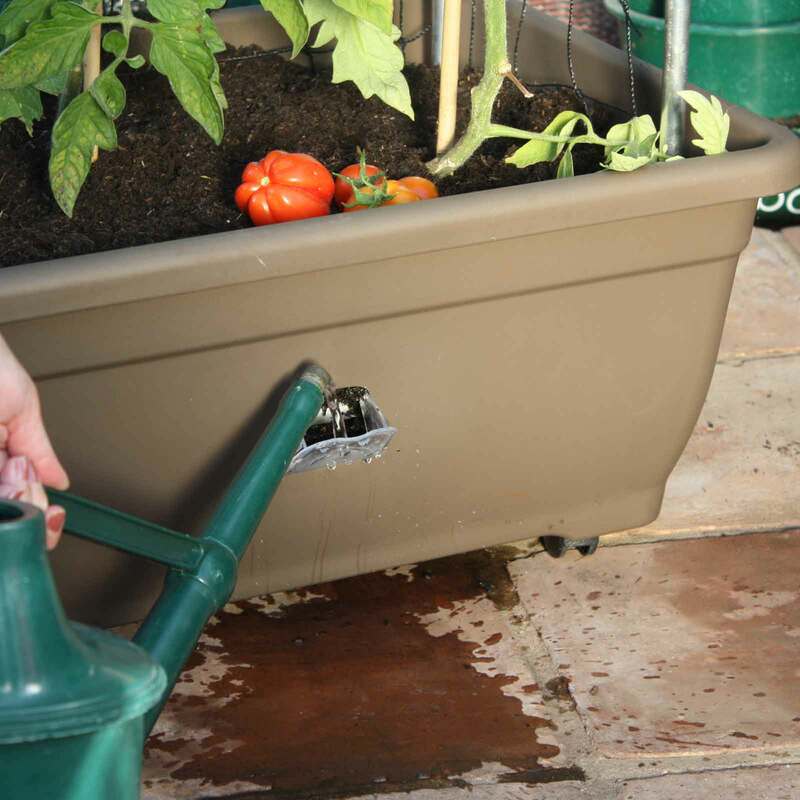 Holding a few litres of water, you could happily go away for a long weekend knowing that your precious crops will be in good health when you return. 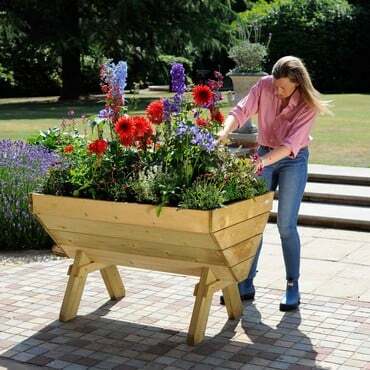 The planter is teamed up with nice little wheels that make this item very mobile! 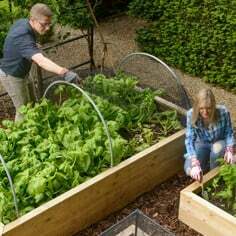 The frame itself is constructed from aluminium poes which fit into the planter centrallt, giving heavy cropping veg firm support. 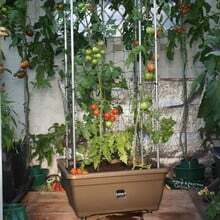 Aesthetically it isn't the most appealing set up but it is completely practical in the sense of functionality and productivity. 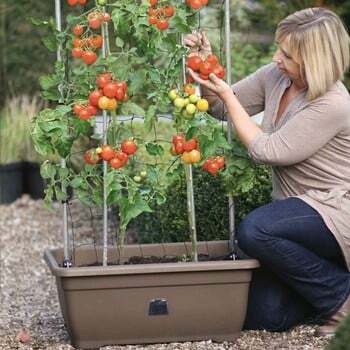 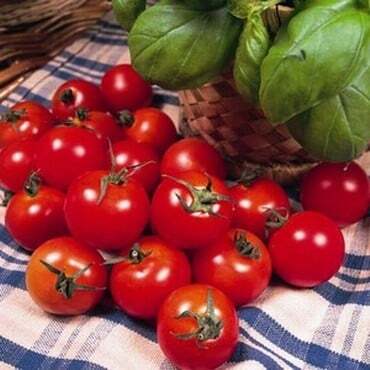 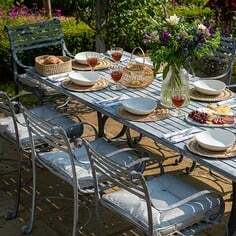 A good buy for those who struggle for time but want the pleasure of a home harvest.